Today we have a wonderful recipe from the lovely Diana at Little Sunny Kitchen. These BBQ lamb ribs have a Middle Eastern twist on them and Yazeed (Diana’s husband) loves to cook them up regularly on the BBQ. Lamb ribs not only pack a flavourful punch but they’re also incredibly tender. 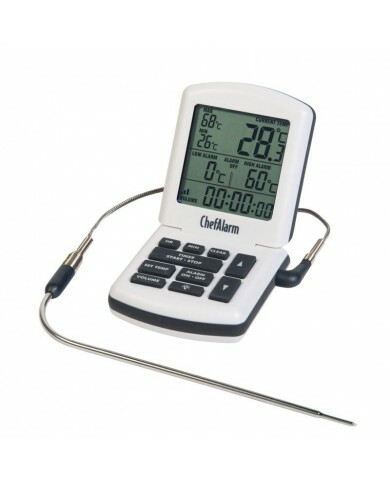 “My husband uses the Thermapen cooking thermometer to check the doneness of the lamb ribs. For well done, the Thermapen inserted in the center of the meat will need to show 80-85°c. If you’re looking for medium well meat, then 70-79°c would be perfect. And finally, 63-69°c for rare. Serve the barbecued lamb ribs on fresh pita bread, sliced yellow onion with parsley, sumac and a pinch of salt. We also throw some tomatoes and chillis on the grill as we cook the lamb ribs. Start by seasoning the lamb ribs. Sprinkle salt, ground black pepper, rosemary leaves and olive oil. Coat the lamb ribs with the seasoning very well. And set aside for 10 minutes. Place the ribs in a grilling basket, and transfer to the barbecue grill. Cook on each side for about 7 minutes for well-done. Keep flipping the grilling basket to make sure that the meat is cooked evenly on both sides. Using your Thermapen kitchen thermometer, check the temperature of the meat. For well-done, the temperature should be 80-85c. For medium well, 70-70c. And for rare, 63-69c. Transfer to warmed plates with pita bread.